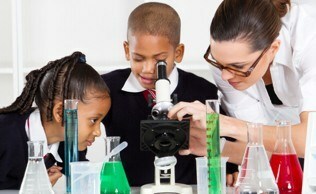 Want your school science day to be a BLAST? We know that teachers do not always have the time and resources to prepare the hands-on science activities they'd like to, and that field trips and outings can be a real challenge. That's why we come to you with experienced, fully equipped presenters ready to inspire your pupils! 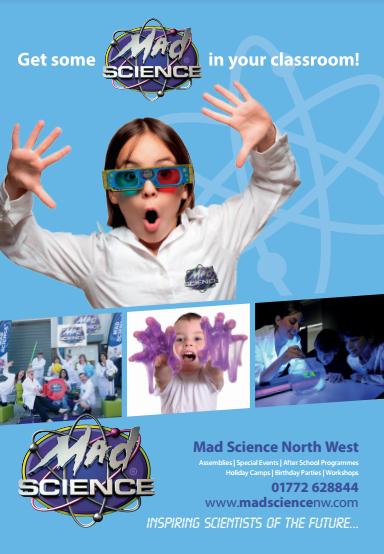 Mad Science has a huge range of spectacular science shows and hands-on workshop topics to create memorable, exciting and educational science experiences for your pupils, all without leaving school. Our hands-on approach, and focus on enquiry-based learning teaches kids about the fun of science and helps to spark their imaginations! 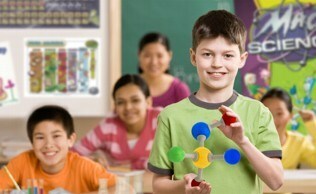 Children will learn by doing, as well as watching cool and spectacular demonstrations. With professional lesson plans, animated presenters and all equipment and consumables provided we provide hassle-free way to add zest to your science week. To find out more call 01772 628844 or email us today!